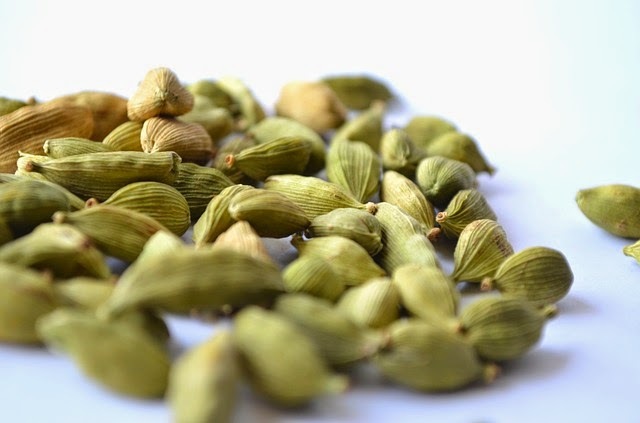 Cardamom Efficacy, The Herbal In Your Kitchen - Cardamom has scientific name Amomum cardamomum willd contain chemicals including terpineol, alfaboreneol, sugars, fats, oils and silicate sineol. Cardamom pods somewhat bitter taste. its pharmacological effect can be used for cough, fever, sputum, flatulence, and also anti-vomiting. way cardamom treatment was fairly easy, watered sufficiently fertilized organic or chemical. All parts of this plant, especially the roots and fruits can be used for the treatment of various diseases. Prepare a decoction of 5 grams of cardamom, 100 grams of root weed grass (Imperata cylindrica), and two rods of tea parasite plant (Loranthus parasiticus) with 2 cups of water, boil until the remaining one cup, after the water cold strain then drink twice a day each half cup. 6 grams boiled dried cardamom previously with a glass of boiling water, and drink this concoction a cup in a day. Prepare 5 grams cardamom pods, roots 100gram weed grass (Imperata cylindrica), and 1-2 rod parasite tea plant (Loranthus parasiticus), boil all the ingredients with two cups of water until remaining to one cup. Strain the water and then drink a day each half a cup. Prepare 10 grams of cardamom, garlic 10 grams, 25 grams pulosari (Alyxia stellata Rest), 25 grams of pepper, and 25 grams of turmeric wash all the ingredients thoroughly. then mixed into a single, finely crushed, and add enough hot water. add a spoonful of pure honey and 2 pieces of chicken egg yolk. Mix and stir until blended. This herb drink 2-3 hours after dinner every day until healed. 5 grams of cardamom, 1-2 stems parasite tea plant (Loranthus parasiticus), and one hundred grams of weed grass roots (Imperata cylindrica) wash thoroughly. add two cups of water. boiled all remaining ingredients until approximately one cup, strain and drink boiled water 2 times a day each half a cup.